it's the first sunday of the month which means we get a little churchy around here. i've had a lot of things on my mind lately. sometimes i think that is part of my problem. things are on my mind a little too much. i've never really thought of myself as a deep thinker. i don't really like to be by myself, and i basically never say i need some time alone to think. i love to be around people. with a 40 minute commute each way plus drive time throughout the day, i have plenty of alone time to think if i want to or even if i don't want to. my mind sometimes gets cluttered with so many things, and i analyze and over analyze things to death. lately my mind has been cluttered with so many things-work, career, social life, dating or lack of dating, age, family, friends, physical body, church, future, etc. thinking time usually causes more stress for me which is one reason i tend to avoid it. sometimes we just have to let it all go and find some peace. 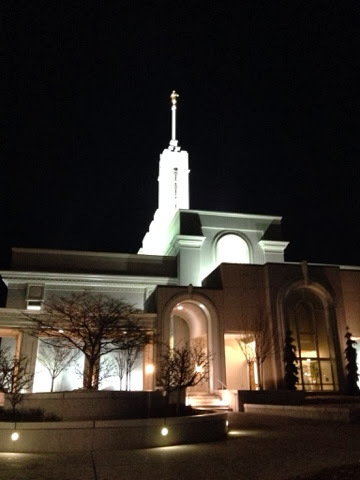 after several weeks of cluttered thoughts, i finally went to the temple on friday. it is such a quiet and peaceful place. it is always a great chance for me to be still and clear my head. i needed it. i think it's something we all need. speaking of the temple, brooklyn wrote this post about the temple and why she didn't say wedding vows. the temple is so important and sacred to me. i don't always have the best words to articulate that importance. brooklyn did a beautiful job and rather than try to write something similar, i'm sending you over there. if you follow me on social media, you know i post a photo every single day. i have been doing fat mum slim's #fmsphotoaday. i plan to continue, but for the month of february i am adding another photo challenge. this challenge is more churchy. i'm excited to share a little more about my faith this month. i would love it if you would join me. so i want to know...what do you do when your mind gets cluttered? how do you find peace? a few of my friends are talking churchy things today too. check it out. 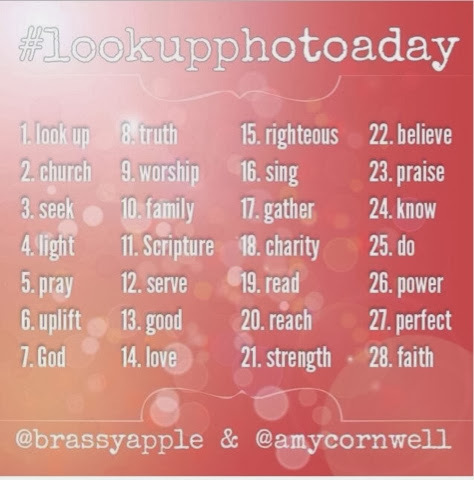 thanks for sharing the photo a day project! My brain is always cluttered. An insane mess of chaos. :o) When it gets too loud I try to focus on one thing until I get it figured out. Yoga always helps for some reason...I guess it just encourages me to wipe my mind of worries for a short period.